تأسس ترينالي الشارقة للعمارة في عام 2017 على يد الشيخ خالد بن سلطان القاسمي، رئيس مجلس الإدارة. وصادق المرسوم الأميري رقم 23 الصادر في 13 مارس من العام 2018 على الترينالي باعتباره برنامجا مستقلاً، تشمل أهدافه النهوض بالعمارة والجانب الحضري ورفع الوعي العام في هذا المجال، وتعزيز علاقة البحوث النظرية بالممارسة العملية. هذا وأُطلِقت مبادرة الترينالي بدعم سخي من قبل حكومة الشارقة. Sharjah Architecture Triennial was founded in 2017 by Sheikh Khalid Bin Sultan Al Qasimi, Chairman of the Triennial. Emiri Decree No. 23, issued on March 13, 2018, recognized the Triennial as an independent program, the aims of which include advancing and raising awareness about architecture and urbanism, and integrating architectural research with practice. Our Board of Directors supports the Triennial in meeting its mission. In addition to Sheikh Khalid Bin Sultan Al Qasimi, also Chairman of the Sharjah Urban Planning Council, the Board is currently constituted by Sheikha Hoor Al Qasimi, President and Director of Sharjah Art Foundation; Khalid Al Ali, Secretary General of the Sharjah Urban Planning Council; Khalid Bin Butti Al Muhairi, Chairman of the Sharjah Directorate of Town Planning and Survey; Khaled Al Huraimel, Group Chief Executive Officer of Bee'ah; and George Katodrytis, Professor and Head of Department of Architecture at the American University of Sharjah. The Sharjah Urban Planning Council has played an important role in the establishment of the Triennial, and continues to support its team in several areas to ensure its success. 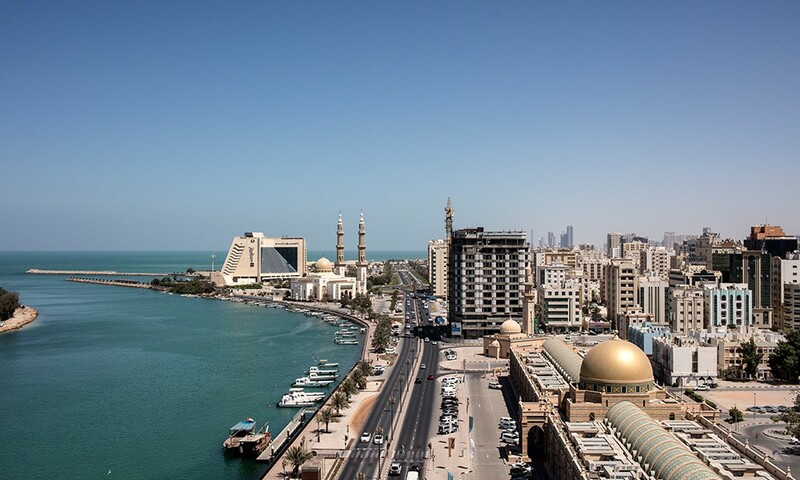 The Triennial has been launched through a generous grant by the Government of Sharjah.